Thanks to these added infos ! Back on topic. Why did the Germans lose the war? Potentially infinite reasons. However, I think many people overlook the diplomatic work of the Allies. The Germans had dubious alliances with Japan and Italy that only got them into their wars. They tried to not share technology with their eastern European allies and generally had limited support. Yet, the Allies managed to bring men from Brazil to India, train, equip them and put them on the front line. They had, also, great success dissuading Spain from getting involved and persuading the Italian King to put Mussolini behind bars. While the German hegemony spanned from the Atlantic to Moscow, from the Arctic to Africa -- they could only rely on themselves. They either could not, or did not want to, raise many troops form their vast occupied territories both in the West and East. For some reason, they had issues coordinating with the Romanians, Italians and Vichy France and generally relegated all foreign forces to rear-echelon work. As soon push came to shove, their allies turned on them. I do not think it is necessary to mention the debacles that were Yugoslavia and Belarus. Why were the Germans not popular on the world stage? Was it too much of the stick, and too little of the carrot? Was it the lend-lease food and Hollywood? That's a discussion for a different thread. Hitler does not appear to have been a student of Sun Tzu. For him, diplomacy was useful only to gain temporary advantages on the way to his war. War was his objective, rahter than the means to achieve objectives. He believed in the supremacy of the German People which would bring about the conquest of Western and Northern Eurasia through a war of conquest. The British, of course, were consummate diplomats. They struck up an alliance with Stalin and dragged the US into a war in which its people did not want to get involved, helped by Hitler's asinine and futile declaration of war on the US in 1941. He was truly outclassed in this context. Aye. A mate of mine once posed the question, "If Germany developed the atom bomb in 1945, could they have won?" At first, we considered the power of the bomb and its dramatic role in the fall of the Empire of Japan. Yet, after quick deliberation, we concluded that they would have to drop atom bombs on almost every country in Europe, and North America. I watched more of TIK's videos. A lot of them are very good, and have excellent sources. Lots of good myth-busting. He does like to make click-bait-y titles, however. The British, of course, were consummate diplomats. Were we? Given our failure to create an anti-Nazi alliance before 1939, I'd say we were pretty crap at diplomacy. Could the problem there have been that at that time Britain had but little to offer militarily? They had only started to rearm a few years earlier and hadn't progressed very far yet. In fact, they never did develop an Army that could match the Germans on the European continent without a lot of help from abroad. Before 1939 was the era of appeasement. Once that delusional (albeit inevitable given the parlous state of British armed forces and French complacency at the time) policy was rendered obsolete by events and Winston Churchill became Prime Minister, UK diplomacy came into its own, harnessing the industrial and financial power of the US, opting to enter into an alliance with the USSR and finally achieving US entry and the Germany First approach which eventually brought about the Allies victories. Given the prevalent situation in 1940, none of this was bound to happen. It was orchestrated primarily by Britain. they never did develop an Army that could match the Germans on the European continent without a lot of help from abroad. our failure to create an anti-Nazi alliance before 1939, I'd say we were pretty crap at diplomacy. British strategy for hundreds of its "Empire years" was to control the seas and trade routes. It was recognized that it was impractical (and largely unnecessary) to create a land army that could match anything in Europe. In terms of diplomacy, Britain rose from obscurity to empire by clever diplomacy. The strategy was to always ally with the 2nd most powerful nation in Europe thus ensuring that GB kept the balance of power - until Portugal, Spain and France were all exhausted fighting each other and GB basically took over. Hence the phrase "perfidious Albion". And that is a reason why we need to stay pals with Russia vs the future largest power - China. I did not write this, as a retrospective reading of the relevant posts will show. Erwin, you need to be more careful how you quote. When discussing the lack of forceful answers to Hitler in the mid to late 1930s, one must also recognize the context of the lives of the men involved. They had all watched in abject horror the greatest slaughter in human history, perpetrated by the much vaunted 'western civilization'. WW1 was in all their minds as they desperately, yet obviously quite naively, tried to avoid a replay of 1914-18. While it's fun to laugh at how foolish Chamberlain et al were, we should also recognize that restraint and diplomacy (especially in Germany & Russia) in 1914 would've made Hitler's later rise to power impossible. His rise was only possible in the post-apocalyptic world left by WW1. And if one wants to look at our own time, compare current US psychopath John Bolton to the one of the greatest, most incompetent warmongering criminals of all time, Conrad of Austria, who more than any other pushed the Europe into WW1 (my source for Conrad comment, A World Undone, by Meyer, a great book on WW1). And when looking at Churchill, I'd say he's good when there's a war -- but war was always the answer for him. So when diplomacy IS the right answer, he is not the one you want. His meddling and micromanaging actually hurt the British war effort in so many ways, so many times, but overall he did provide the leadership that was needed at the time it was needed. In 1914 he's not the type you want. In 1938 he is. Where did you get this information from? On 22nd of June 1941, USA wasn't involved in the war and it's industry wasn't fully switched to the war production. The first significant weapon deliveries to USSR took place in the autumn of 1941 and it were the British who delivered to the Matilda tanks and Hurricane fighters. U.S. Lend Lease became law in March 1941, and the first shipments of over 300,000 tons of supplies (in 1941) began on June 22. Granted, the total amount of Lend-Lease to the Soviets in 1941 was very small, only about 2% of the total wartime shipments; 1942 amounted to about 2.5 Million tons, or about 14% of total. The British delivered weapons in 1941 on the back of American credit, in fact, almost all British supplies sent to the USSR were paid for with American credit. Another historical fact is that it did really take a long time sometimes to set up production thousands of miles from the original site. You can check the bibliography on Gary Grigsby's War In The East manual for more details, and also the section of the manual on the industry relocation rules will prove a good read, as it tries to account for the process. Lend Lease was very important for the Soviet Union, way more than the Soviet propaganda wanted to admit from 1943 onwards. The consensus amongst historians regarding "when Germany lost the war" as in unable to win is to put it at some point during September and October 1941, when it became apparent that the Soviet Union would not collapse like France a year and a half before, even in the face of crushing defeats in the Ukraine and right in front of Moscow. The stupidity of the latter, and utter lack of basic understanding of the United States, will confound many generations to come. 2. Post-war, the Soviets had an almost fanatical censorship campaign in place which systematically devalued the contributions of the other nations in WW2. It got so bad that battle records of campaigns were literally burned in order to cover up the full scale of Soviet defeats early in the war. 3. I think the evidence is conclusive that Germany did not plan for a campaign against the Soviet Union lasting longer than one year. I'm reminded of an anecdote from Vietnam I once heard: In the basement of the Pentagon, the Department of Defense wanted to know how long it would take to win the Vietnam War. So they compiled all statistical data they had available, fed it into a supercomputer, and went home for the weekend while they waited for it to spit out the answer. When they arrived Monday morning, the computer had spat out a card with one sentence on it: "You won the war in 1965, but the enemy also gets a vote." I know Dan Carlin is not a historian, but he makes a very compelling argument. Based on my own reading of Mein Kampf, I have to agree. Hitler was not a rational individual. It's comforting to know that lunatic despots usually make plenty of unsound decisions, especially on the more conceptual / higher levels of the decision aiding/making processes. Anyway decisions win or lose wars, not oil. Simply because oil itself doesn't start wars, neither loses them ;-P.
It has been said elsewhere in this thread, but I agree completely. Wars are not fought by individuals. He argues that yes, Germany lost mainly due to oil, and the turning point of the war was not Stalingrad, not Moscow in 1941, or anything like that, but that Germany lost the war right when it was winning -- in the middle of 1940, when Britain refused to surrender and end the blockade. WW2 was an industrialized war of production, not of manpower. In fact, the numbers between the Allies and Axis were not really all that different. But comparing the economies between Germany and both the US, Britain and the Soviet Union, it is by no means a contest of equals. It's like comparing an 800 lb gorilla with a chimpanzee. It was never going to be a fair fight in any way. I thought it was pretty common knowledge that the Allies were able to massively out-produce the Germans, producing several times the number of tanks, planes, artillery shells, ships, and so on. Why? Oil. Germany was, of course, a mostly horse-drawn infantry army and had relatively tiny numbers of tanks. From June 1941 to the beginning of 1943, what weapon did the Soviets massively increase production of more than anything else? Mortars. Because they were facing an army of mostly infantry and didn't feel the need to massively increase production of tanks and anti-tank weapons, because the Germans were never able to produce tanks in significant numbers (because of, again, oil). The Germans had loads of men already. Nazi Germany was one of the most militarized countries in all of human history. When looking at it in terms of oil, it's remarkable that the Germans managed to even last as long as they did, but this was because of their synthetic fuel plants. They allowed the Germans to fight the war, to tread water so to speak, but not to win it. When those were bombed to oblivion in 1944, Nazi Germany collapsed along with it. > I disagree. The Germans acted quickly to secure the Balkan oil fields specifically because they knew the blockade would not end. After their experience with the British blockade in WW1, I refuse to believe they would not anticipate such an eventuality from happening again. Things like "The Turnip Winter" will stick in the memory of people for generations. > Indeed, and when you see things like the Detroit Tank Arsenal ALONE out-producing the entire German Tank-Building Industry during WW2, you realize oil alone is not the deciding factor in that equation. Overall, the Germans did not fully mobilize their economy and industry towards war production until 1942. Hitler was adamant about not encumbering the German population with things like rationing and shortages like they faced in WW1. Like I said, "The Turnip Winter" tends to stick in the minds of the people who went through it. As far as manpower goes, where do you get the idea the Axis and Allied manpower were close? They weren't even in the same hemisphere. > Is it oil, or is it the fact the United States had vast amounts of natural resources, food, strategic minerals, steel production, etc. and simply gave it all away with the understanding that the cost for everything would only be counted after the war was over? It wasn't just war materiel that got sent through lend-lease, but things like raw steel, coal, oil, gas, food, etc. > From June 1941, to the end of 1942, the Soviets produced some 30,000 tanks, and received several thousand lend-lease tanks. Which is at least four times as many as the Germans produced in the same time period. Just because your enemy doesn't have as many tanks, is no reason to not produce them in staggering numbers. 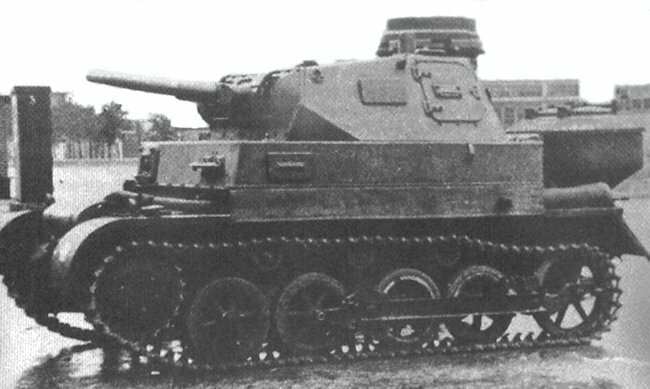 Even in June 1941, the Soviets had a 2:1 advantage in tanks, and made ruthless efforts at increasing production all throughout the war, to the point they used substandard metals and far looser tolerances than were seen as standard in the western nations. "The Red Army categorized tank readiness in five categories, from 1 to 5, with 1 being new and 5 being retired for scrapping. In the western military districts that bore the brunt of the 1941 fighting, there were 12,782 tanks, of which 2,157 (17 percent) were new (Category 1), 8,383 (66 percent) were operational with minor maintenance issues (Category 2), and the rest (18 percent) in need medium maintenance or capital rebuilding." - Zaloga, Steven. Armored Champion: The Top Tanks of World War II (Kindle Locations 1491-1494). Stackpole Books. Kindle Edition. Weapons production is a question of DOCTRINE, not statistical analysis. Soviet doctrine emphasized the use of light, highly mobile artillery, and so they built large numbers of mortars. Soviet doctrine also emphasized the breakthrough role of tanks and mechanized infantry, and so they build many thousands of them too. "They didn't have enough oil." The Germans needed oil for OPERATIONS, not PRODUCTION. If World War Two is a battle of production (as has often been stated), then the Germans did not lose it because of a lack of oil. They lost it because they didn't want to work 24 hours a day, seven days a week, in a fully mobilized wartime economy. At least, not until it was clear they were losing, and then their utilization of forced labor tells a clear and understandable story. Not only did they lack production, but they also lacked manpower. They couldn't meet the manpower needs of the military, and also run their factories at their maximum rate. They had to utilize forced labor to ensure their production could meet it's goals, and even then, a chunk of their dwindling production capacity was spent on projects that would not prove to be of any benefit. Vengeance Weapons for example. Their incompetence in the realm of strategic planning is obvious. Compare Germany to the United States, which had a clearly defined production plan, immediate and effective national mobilization, a well-organized industrial base, and highly competent businessmen and army personnel in charge of planning, design, development, and production. But this brings me back to the Dan Carlin video I posted up above: Why were such incompetent people in charge of the German war effort? Anyway, that's all I have to say about that. Thanks for the thread, it went down well with lunch. I cut and pasted too hastily, Michael. It was a good thread indeed , brought me some distraction when I could use it. Only a fool driving from Berlin to Paris to Moscow with just $50,- cash on hand for fuel and toll boots (let alone hotels etc) would blame fuel as the main reason he didn't make it to Moscow. It's the fuel dude. Edit: that's why I think those click bait titles and reasoning are very bad. One can have interesting discussions regarding the effect of various factors on the (geo)political, diplomatic and military strategic/operational/tactical levels. That's what makes me come back to these forums. Poor constructed reasoning or poor reasoned information, more properly called misinformation, is already plentily available elsewhere nowadays. The president of the USA/world, among other world leaders like the Russian president for life, gets away with poor reasoned bull**** on a daily basis. That's why I think it's important to call out poor reasoning and or misinformation and address it with proper reasoning. So, thanks for your informative post. Gives a more nuanced impression of the macro geopolitical issues of the time versus the international diplomatic, national political/military strategies developed alongside the programs/campaigns (operational level) undertaken by the various factions. .
Haha, 1965 "computers" could well mean a bunch of boffins at RAND corporation producing nerdy stuff that only McNamara would care about or be able to read. If oil is completely unnecessary for armaments production, then why did Albert Speer say otherwise? I posted a direct quote from him earlier in the thread. The guy in charge of Germany's entire armaments and war production said in his memoir that the Allies' oil campaign meant "the end of German armaments production," and that it was, "effective immediately, and decisive within less than a year." Adolf Galland also said the oil campaign was the single most important factor in the collapse of Nazi Germany. Looking through this thread again, I still keep seeing people attacking TIK personally for his "clickbait" videos, when he is not the guy who is coming up with any of these arguments. As far as I can tell he is getting his info from people like Anand Toprani, a specialist in energy geopolitics. This guy: (https://usnwc.edu/Faculty-and-Departments/Directory/Anand-Toprani) I posted about him earlier in the thread too. You can argue about it all you want, but calling it, "Poor constructed reasoning or poor reasoned information, more properly called misinformation" and then comparing it to Trump, like Lethaface did a couple posts above me is rather ridiculous isn't it? This is a topic that professional historians spend years studying and debating, and it's kind of annoying seeing random internet posters claim that they're experts on the topic. Adolf Galland also said the oil campaign was the single most important factor in the collapse of Nazi Germany. Well sure. Without fuel the Luftwaffe cannot fly, which would have been a serious concern for Galland. Address the arguments I put forward if you want to argue with my reasoning (that's what discussions are about). Just to be clear: I mean TIK all the best and am happy people enjoy his video's. He does come up with arguments from other (more nuanced) studies, but he presents them in a poor way. At least that's my opinion, I found his video's not worthy of my time while I am interested in the subject. That's not a personal attack. I don't challenge that oil was an important factor. Trying to single out oil as the single reason Germany lost the war isn't the same as professional historians spending years studying and debating how important the availability of (vast resources of) oil actually was as a strategic factor when waging a global war. TIKs video is trying to make a bold claim to attract viewers. In the video's than he presents a bunch of supportive arguments towards his claim, but it doesn't excel in critical thinking (imho). It's a biased plea towards a simple answer for a complex question. I can advise on the book 'Asking the right questions, a guide to critical thinking' with regards to this matter. In my first post I asked a question: if during 1937 or so, Germany happened to discover an oilfield the size of Saudi Arabia's oil reserves right inside Bavaria, would that have won them the war? Please address that question if you believe that Oil is THE factor why Germany couldn't win any war against the allies. If I was to make a bold statement like that and post in on youtube, I'd first ask myself a couple of these questions. It's not just this video in which he performs this type of presentation. Clickbait is bad. How would you feel if you bought a book for it's title only to discover that the inside of the book doesn't correspondent with the cover, title and preface? At least, the claim on the cover isn't properly substantiated in the book. I would feel 'fooled'. That's why I compare him to politicians that do the same: make a bold claim, present some supportive evidence and voila: a new 'fact' has been born. Some politicians like to rinse and repeat their own 'supportive evidence', while calling anyone that presents different evidence 'liars', 'ridiculous', etc. Asking the 'well how about X' question, without actually addressing the counter evidence is a common tactic as well. Now TIK's video's are quite innocent when compared to state propaganda, but it's still misinformation in my book. Regarding winning or losing wars: (limited) wars are a state of affairs invented by humans. Someone once called them 'the continuation of politics by other means'. Wars are started by groups of people, or factions, that decide that they have a grudge with another faction, to be settled by violence. Usually wars end when one of the parties decides it's been enough and negotiates a ceasefire or surrender. The existence of matter doesn't win or lose wars. Failure to grasp the implications of the availability of matter can sort of lose you a war, or better render a decision to start a war as a stupid decision. In which case the reason you lost the war would have been incompetence; why start a war you can't win? A factor isn't the same concept as a reason. That might be semantics, but to me it's important especially when you claim to have found some spectacular reason for a well known event, that has been researched, documented and discussed for decades, like Germany losing WWII and their access to oil. 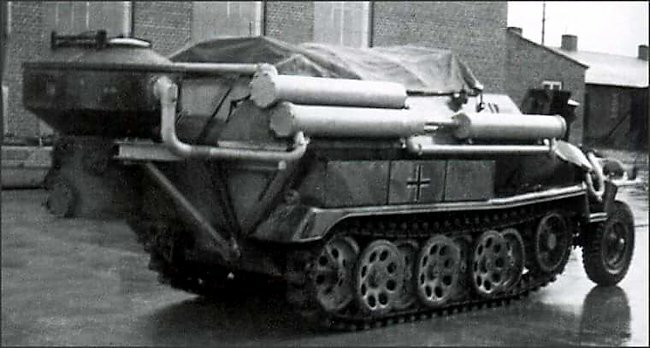 Regarding Speer: I can think of a motive as to why the guy in charge of Germany's entire armanents and war production said that the Allies oil campaign meant the end of German armaments production. That means that he wasn't responsible for the failure regarding outproducing the enemy ;-) That's just pure speculation though, there's people on this forum that probably have more insight into this subject than me. Just to be sure: I don't think I have a monopoly on wisdom and I may be wrong. If you spot any fallacies in my reasoning, please let me know so I can learn. An interesting video about how Germany planned to win the war. TIK often cites this guy, too. He should have "enjoyed" a close encounter with my Axeman. ...and a whole continent of resources, far away from enemy bombers. I wonder what went through Hitler's mind when he declared war on the US. Was he in a manic fit? Was he too stupid to understand what he was doing? Of all the strange decisions of WW2, this is one of the most puzzling to me. I think that may go down as the worst decision in all of human history. If oil is completely unnecessary for armaments production, then why did Albert Speer say otherwise? I posted a direct quote from him earlier in the thread. The real question is when did he say it, and in what context? Did he mean ALL armaments production, or FUEL production? Did he honestly think that Germany still had a chance of winning by 1944, but that chance was lost because of the loss of oil production? The main complaint against the YouTube historian and these types of conversations is the tendency to remove historical fact from the context in which it is placed. Is it necessary to have petroleum in order to make steel? Is it necessary to have petroleum to generate electricity? Can your railroads not run without it? Do you need oil to maintain a human workforce? What production was effected by the loss of oil? How severe was the effect? Were alternatives to petroleum available? Did it effect some production, but not others? It could be, that the attack on the oil fields came at a critical time. That the loss of even a few months of fuel production had a key effect at the front, and turned the strategic situation for the worse. Perhaps a major enemy offensive kicked off at the same time as the raid on the oil fields, and thus the forces were lacking operational fuel to save themselves? Maybe the loss of oil production had some other effect, such as the loss of industrial chemicals? If you're going to cut and paste a sentence fragment and base an entire argument on it, go ahead, but you've got a long way to go before you convince anyone. By 1944, Germany had already lost the war. We know it. They knew it. Everyone knows it. What possible difference could have been made by the survival of the German oil industry? Never be amazed at the stupid things people do or say under the thrall of hubris - as in when one thinks one is unbeatable. Hillary etc. I read some of "The German Way of War", by Dr. Citino, while on holiday. I may have to finish it. I think it's easy to call Operation Barbarossa and the subsequent strategic decisions to be silly. In memoirs, German generals always love drawing blame away from themselves -- and blame Hitler, oil, winter, etc. Nobody mentions a key cultural and historic factor that most non-Germans are simply not aware of. To us, "Blitzkrieg" was the new way of waging war. In reality, it's old Prussian tradition. Famously starting with Frederick the Great. Prussian military doctrine relies on "quick and lively" strategy. With a smaller corps of well trained troops, one can achieve surprise and out-maneuver their enemy -- trapping them in a kettle. After that, it's chow time -- launching simultaneous attacks to break up and isolate enemy formations. With this strategy, Prussia managed to defeat much larger armies and quickly press for favourable terms. The picture perfect example of this being the Franco-Prussian war. Unfortunately for them, WW1 shattered all estimates of a "quick and lively" war. Yet, the tradition remained, and a lot of this sentiment continued to the next generation. The Stab in the Back theory resonated well with this new generation. Nothing wrong with the old Prussian doctrine, they thought. It was the civilian (political and economic) systems that lost them WW1. One can see why so many Germans, especially in the military supported a new Reich with glee. When Hitler called, they answered. Their first few strategic offensives were resounding successes. The westerners were getting ready for a war of attrition -- they never expected "Blitzkrieg". The old Prussian officer, following the old Prussian doctrine, had managed to defeat France in a fraction of WW1. It was a pipe dream. Yet, a pipe dream on which all strategic thought originated from. Why not declare war on the U.S.? The Japanese opened up with a resounding success, and it would take time for them to rebuild -- let alone to deal with the less immediate threat (Germany). Who cares? This war will be won in a few months. It has to be won in a few months. That's the only way wars are won, according to Old Fritz. In retrospect, I, as a young enthusiast of military history, first assumed that Hitler was stark raving mad but all the officers at the operational level were level-headed pragmatists. As a less younger enthusiast of military history, I see the reason why the Third Reich had such domestic support -- is because most all German officers, believed in old myths. After the fact, they say they did not believe and were just following orders. After WW2, the cycle continued, there was a Stab in the Back theory II. It wasn't the German officer that lost Germany the war, it was X. X often being a politician, a resource or a natural event. For some reason, everyone in the Wehrmacht is blame-free of the atrocities of WW2 -- it was all the SS, or the Soviets or Allied strategic bombing. I recommend watching Citino's lectures or reading the books. He states this much more eloquently with very good sources. I'm not so sure. I'd go for Hindenburg handing Mad Addy power, as the worst.